This promotional cat shaped usb drive 1 gb is Ideal for veterinarians, pet stores and cat-friendly businesses! Ideal for veterinarians, pet stores and cat-friendly businesses! 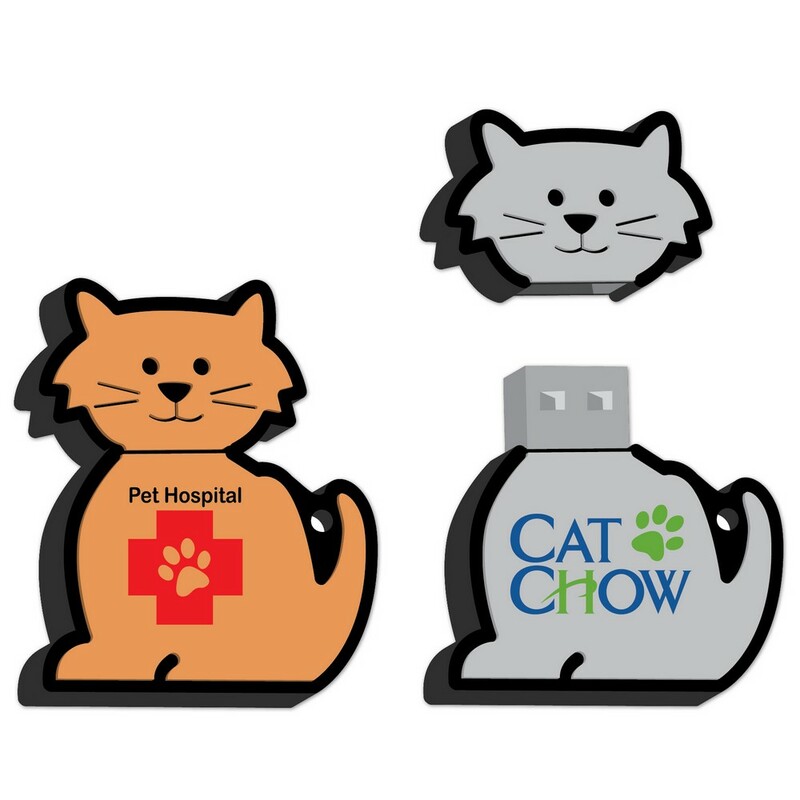 Ideal for pet stores, veterinarians and other cat-friendly businesses, the Cat Shaped USB Drive 1 GB perfectly represents the love and care for cats you have. This USB flash drive features an attractive cat shape in two color options. It lets you store 1 GB of data and transfer it conveniently between devices. It offers enough etching space to include custom logo and message for spreading your brand awareness far and wide. You can select from various imprint methods and colors available to customize this affordable solution to your business. Gift your valuable customers something they will cherish for lifetime and get more love for your brand.